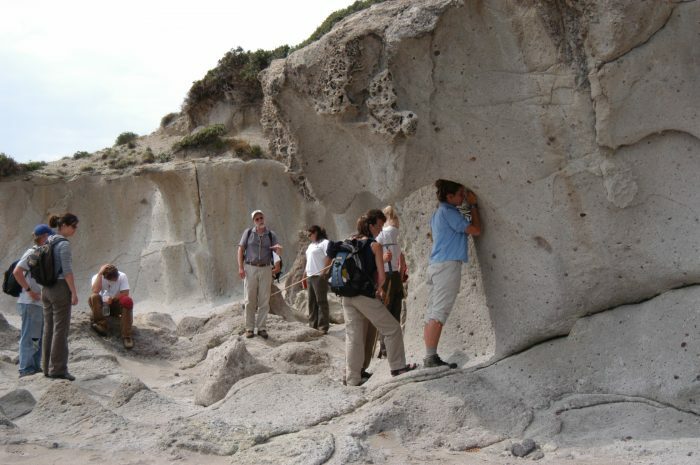 Rock Recognition is a hands-on workshop that introduces students to the basics of rock identification, rock formation, and the rock cycle. In this workshop, students will explore Earth’s full rock cycle – sedimentary, igneous, and metamorphic rocks. From fossiliferous limestone that formed in warm, shallow seas to obsidian that oozed from an active volcano thousands of years ago and cooled quickly to form volcanic glass, the specimens that we’ll examine during this program will showcase rocks that formed at Earth’s surface in streams, lakes, and oceans as well as deep below our feet in subsurface magma reservoirs or in the bowels of a tectonically active mountain range. Science 4: Matter has mass, takes up space, and can change phase. Earth Science 12: Minerals and rocks are the foundation of the rock cycle and can be used as resources that drive industry and global economies.